Shears double finger holes allow for correct alignment of the two middle fingers to help prevent issues associated with carpal tunnel. 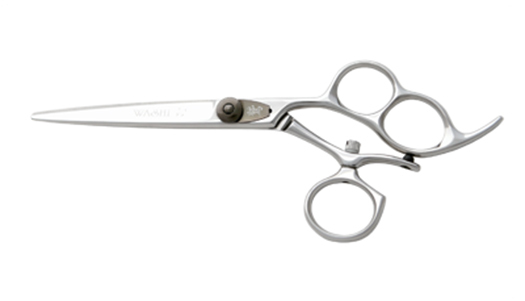 The Triple Crown 3 hole swivel hair shear is designed for a stylist who is looking for a healthier alternative to a conventional shear. The double finger holes allow for correct alignment of the two middle fingers to help prevent issues associated with carpal tunnel. The swivel thumb creates a horizontal cutting action that lowers your elbow and shoulder position that allows for a more natural cutting position. Also available in Double Swivel!